Acclaimed luxury candle designers Owen Drew have launched a new limited edition fragrance which pays homage to Liverpool’s maritime past. 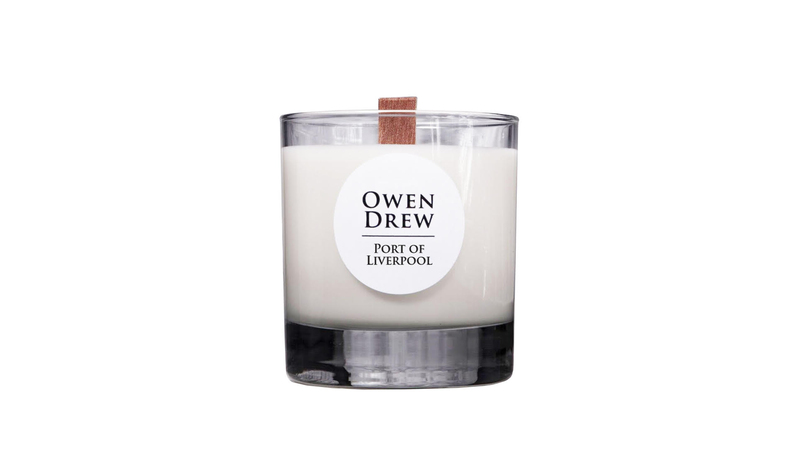 The new Port of Liverpool candle launches this week and Owen Drew founder, Drew Cockton, said he is unbelievably proud to be able to honour the City with this latest addition to his multi-award winning collection. Since forming in early 2017, Owen Drew Luxury Candles have received international acclaim for their range of exquisite candles and room mists and have fast become one the industry’s most influential brands. Based in Birkenhead, the company now employs twelve team members who help design, develop and pour each candle by hand. Drew and the team, who have recently opened a beautiful boutique in the Pacific Road complex in Birkenhead, now boast over thirty unique fragrances in their ever-growing collection and are shipping candles across the globe.